It’s nearly 11 months into 2017 and I’ve only just found out it’s the 10th anniversary for Lexus’ F division. That’s quite a milestone. So instead of announcing the LC F at the Tokyo Motor Show, the brand instead showed a special edition version of the RC F and GS F—and an unusual concept. Lexus is one of those companies I’m secretly rooting for. There’s potential there as they’ve shown with the GS F, LFA, and LC 500 coupe. Their headlining car at this year’s Tokyo Motor Show was the LS+ Concept. Yes, it’s a concept version of a production car that was also shown as a concept two years ago on the same stage. It’s come full circle. It comes with all the AI technology that learns from the cloud and the autonomous driving gizmos Toyota has been rushing to develop, except Lexus went one step further and actually had the car drive itself onto the stage. I have to admit, that was pretty cool to see, and unlike some startups it actually worked up here. The LS+ comes with something called “Urban Teammate.” Urban Teammate isn’t a softer name for the Guardian Angels, but rather new technology for automated driving on city roads. For the highway, well, you’ll need the Highway Teammate for that. 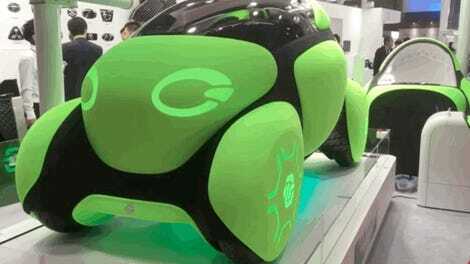 The car will be able to know you’ve entered a motorway ramp and will take over driving for you. It will then give you choices on what to do on the motorway. It might suggest changing lanes to prepare for the exit or suggest overtaking the car in front of you. You simply accept or decline the suggestions. As soon as you’re off the motorway its back to old fashioned driving. It’s a very Japanese take on autonomous driving tech. The system isn’t focused on highways, but rather here to help navigate our crowded and dense city streets. By the end of the decade you’ll have an entire sports team worth of driver assistances in your car to prevent you from having a crash. Which is exactly what Lexus and other automakers want: “a world free of traffic casualties.” A bold and ambitious goal. As well as being a showcase for what technologies we can expect to see in Lexus’ future, the LS+ also shows what we can expect to see in Lexus’s future. 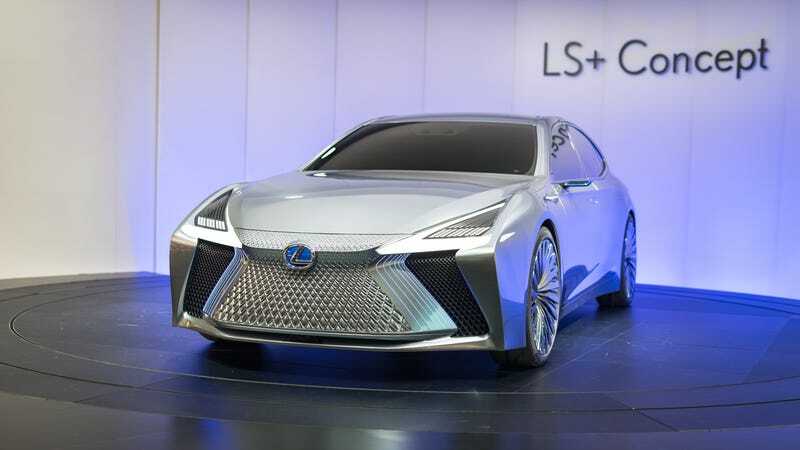 It previews the direction of Lexus’ designs in the near future. There’s laser-lit headlights (is it just me or is there a bit of LFA in the front?) as well as an evolved Spindle Grille with shutters that open and close for cooling and aerodynamics. I don’t know about all of this AI autonomous technology. Sure, it’d make life easier, especially in an environment like Tokyo. Also, not crashing seems like a nice bonus. However, I think I’d just be as happy if they showed a LC F.